Self-publishing isn’t right for every person or every book. It is, however, right for me. Here’s how I made my decision. Like many people, I started by assessing my strengths in relation to the requirements of traditional publishing. I previously posted a brief quiz to help authors assess their strengths and weaknesses and consider how those factor into a decision about the right publishing path. Those same ten questions are what helped me decide my own route to publication. 1. Do you have at least $5,000 that you can dedicate to your book project? 2. Do you want complete creative control regarding the text, layout, and cover design of your book? That’s not essential but it would be nice. 3. Do you have unquestionable credentials in your field, such as a degree or many years of experience? Yes; 15 years as an editor with experience on all sides of the business. 4. Do you have a very narrow, targeted niche or cause? 5. Are you willing to give up some creative control in order to make a living as a writer? No, that is not my goal. 6. Do you want a book under your name but would rather have someone else take care of the details of publication? No, I want to be involved. 7. Do you have the contacts, or are you willing to make contacts, with professionals who can help you publish a book on your own? 8. Do you have a book idea with national appeal? 9. Do you have a national marketing platform already in place? 10. Do you want your book to be published in less than a year? Although I answered yes to some of the key questions regarding traditional publishing, without that critical marketing platform, I knew finding a publisher was going to be a difficult journey for me. But I had other strengths that made self-publishing more attractive. 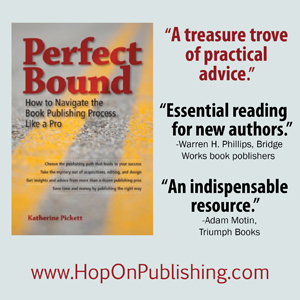 Two important factors in self-publishing success are (1) a strong connection to your audience, and (2) connections with people who can help you throughout the publishing process. As a member of several associations for writers, editors, and publishers, and as a 15-year veteran of the industry, I meet both criteria. I also have knowledge of marketing best practices and a general understanding of the business of publishing, both of which will go a long way to ensuring a smooth journey. My goals for the book also played a role in the decision-making process. I’m not looking to get rich from this endeavor. I want to put out a quality product that supports my editing company and educates my authors. I am willing to put forth the capital in order to do that. I also know that even with a traditional publishing house, I would be doing most if not all of the marketing for the book. I can do that just as well when operating as a self-publisher. What about the other routes to publication? The other publishing routes that I outlined in that quiz — collaboration with a nonprofit or business, work-for-hire, and facilitated self-publishing — do not fit my needs or desires. My niche isn’t tight enough for a collaboration; I’m not looking to make a living as a writer, which would make work-for-hire attractive; and I don’t need a publishing services company to arrange the publication of my book. I’ve been guiding other people’s books through the production process for most of my career. Ultimately, I decided I don’t need the support of a traditional publishing house to make my book. I am happy to take the risks and reap the rewards of self-publishing. Since I have the resources — in the form of money, people, and skill — I have chosen the route that gives me the most control, the most freedom, and the ability to make a product that meets my highest standards of quality. So far it has been an exciting ride. The manuscript is prepped for design and is almost ready for copyediting. Stay tuned to hear how those challenges turn out.